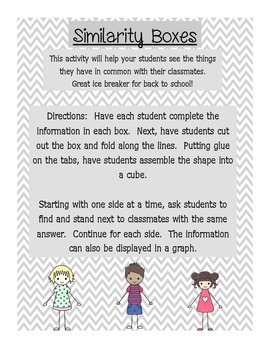 Fun activity to get to know your students and for them to see similarities with their peers. Hands on activity. 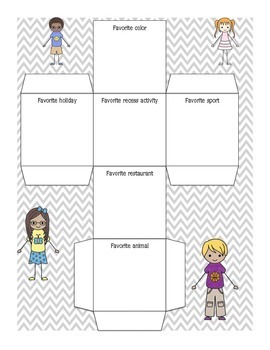 Students create a cube about their favorite items then find classmates with similar favorites. Great movement break!